Again, more paid content to choose from: Will we have more unique Apple, ComCast, Netflix, HBO, Hulu services — ad nauseum? Do we already have too damn many subscription services for $10 monthly? Will it ever end? It’s reasonable to answer yes to more unique programming, hell yes to endless $10 monthly bundled rates — and hell no: Because of ever-evolving media, it will never end. 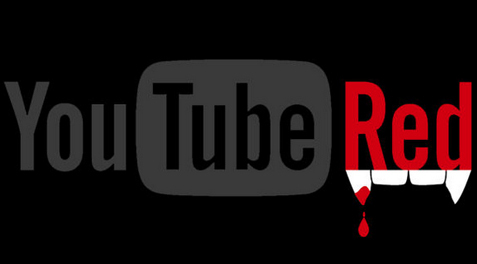 Evidence: Now comes “YouTube Red”, the social media goliath’s next big step to monetize, for $10 monthly, certain things we post, certain things we love, and many things we certainly hate. Stuff we don’t care about, and stuff we adamantly do. But it’s very difficult to think people who eventually refuse to pay 10 bones per month will not be left with chaff, while those who do will get much more, or simply get what we get right now. Deal Long in the Works? Maybe this is the kind of deal YouTube has been presenting to premium content providers and media groups that represent artists like Neil Young or Katy Perry. The deal might have gone something like this: Give us your stuff for free now, while we all pay a loss-leader, and then later on (like January 2016), we will rev up YouTube Red and we all live pretty happily thereafter. “Meet YouTube Red, the ultimate YouTube experience”, Wednesday, October 21, 2015. This entry was posted in Web Design on October 26, 2015 by admin.